An adaptive control system is configured simply by output feedback when the controlled system is almost strictly positive real (ASPR). ASPR conditions are, however, very severe restrictions for actual systems. The parallel feedforward compensator (PFC), which is designed for making augmented controlled system ASPR, has been proposed to solve this problem. 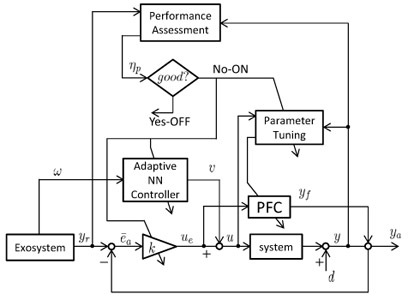 We propose a performance-driven adaptive output feedback control system with a PFC designed via direct design. Our proposed adaptive control system is to be used for systems whose properties change during operation. Our PFC’s direct design uses the system’s input/output data and readjusts output feedback gain based on a performance index. The effectiveness of the proposed method is confirmed through experiments using liquid level control for the two-tank process system. T. Takagi, I. Mizumoto, and J. Tsunematsu, “Performance-Driven Adaptive Output Feedback Control with Direct Design of PFC,” J. Robot. Mechatron., Vol.27, No.5, pp. 461-468, 2015. H. Kaufman, I. Barkana, and K. Sobel, “Direct Adaptive Control Algorithms 2nd Ed.,” Springer, 1997. F. Allgower, J. Ashman, and A. Ilchmann, “High-gain adaptive λ-tracking for nonlinear systems,” Automatica, Vol.33, No.5, pp. 881-888, 1997. I. Mizumoto, D. Ikeda, T. Hirahata, and Z. Iwai, “Design of discrete time adaptive PID control systems with parallel feedforward compensator,” Control Engineering Practice, Vol.18, pp. 168-176, 2010. K. Sato, K. Watanabe, M. Oya, and T. Kobayashi, “Simple Adaptive Control of Systems with Bounded Nonlinear Disturbances,” J. of Robotics and Mechatronics, Vol.10, No.2, 1998. I. Mizumoto and Z. Iwai, “Simplified Adaptive Model Output Following Control for Plants with Unmodelled Dynamics,” Int. J. of Control, Vol.64, No. 1, pp. 61-80, 1996. S. Shah, Z. Iwai, I. Mizumoto, and M. Deng, “Simple Adaptive Control of Processes with Time-delay,” J. of Process Control, Vol.7, No.6, pp. 439-449, 1997. Z. Iwai and I. Mizumoto, “Realization of Simple Adaptive Control by Using Parallel Feedforward Compensator,” Int. J. of Control, Vol.59, No.6, pp. 1543-1565, 1994. I. Mizumoto and H. Tanaka, “Model Free Design of Parallel Feedforward Compensator for Adaptive Output Feedback Control via FRIT with T-S Fuzzy Like Model,” Proc. of ALCOSP 2010, Turkey, August, CD-ROM, 45_34_A, 2010. I. Mizumoto and H. Tanaka, “Model Free Design of PFC for Adaptive Output Feedback Control and Application to a Control of Magnetic Levitation System,” Proc. of 2010 IEEE CCA: Part of 2010 IEEE Multi-Conference on Systems and Control, Yokohama, Japan, September, pp. 35-40, 2010. S. Soma, O. Kaneko, and T. Fujii, “A New Approach to Parameter Tuning of Controllers by Using One-Shot Experimental Data – A Proposal of Fictitious Reference Iterative Tuning –,” J. of Systems, Control and Information, Vol.17, No,12, pp. 528-536, 2010 (in Japanese). S. Masuda, M. Kano, Y. Yasuda, and G. D. Li, “A Fictitious Reference Iterative Tuning Method with Simultaneous Delay Parameter Tuning of the Reference Model,” Int. J. of Innovative Computing, Information and Control, Vol.6, No.8, pp. 1-13, 2010. I. Mizumoto, T. Takagi, S. Fukui, and K. Yamanaka, “Performance-driven adaptive output feedback control system with a PFC designed via FRIT approach,” Int. J. 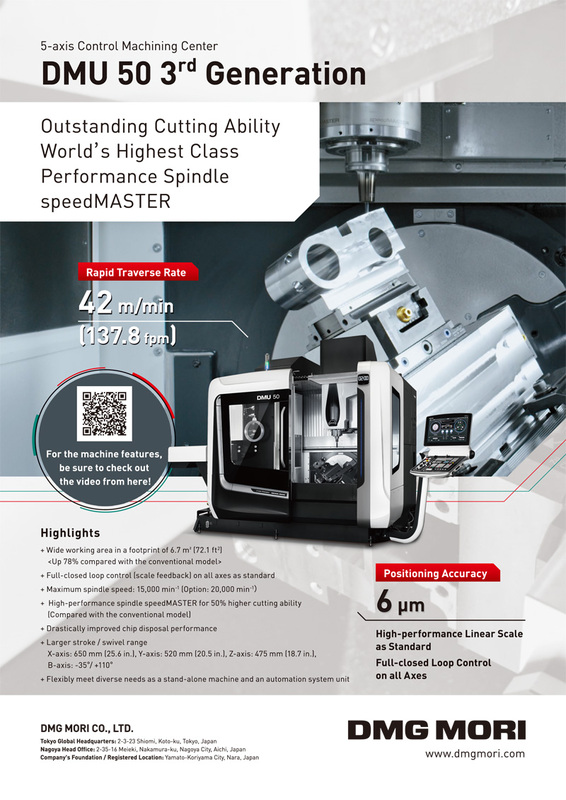 Advanced Mechatronic Systems, Vol.4, Nos.3/4, pp. 149-158, 2012. I. Mizumoto and T. Takagi, “Performance-driven adaptive control system design with a PFC designed by system’s input/output data,” Proc. of IFAC workshop on ALCOSP 2013, France, 2013. I. Mizumoto and Z. Iwai, “Simplified Adaptive Model Output Following Control for Plants with Unmodelled Dynamics,” Int. J. of Control, Vol.64, No. 1, pp. 61-80, 1997. A. L. Fradkov, “Shunt output feedback adaptive controller for nonlinear plants,” Proc. of 13th IFAC World Congress, pp. 367-372, 1996. I. Mizumoto, Y. Okamatsu, H. Tanaka, and Z. Iwai, “Output Regulation of Nonlinear Systems based on Adaptive Output Feedback with Adaptive NN Feedforward Control,” Int. J. of Innovative Computing, Information and Control, Vol.5, No.10, pp. 3527-3539, 2009. G. Tao, “Adaptive Control Design and Analysis,” John Wiley & Sons, Inc., New Jersey, 2003. T. J. Harris, “Assessment of closed loop performance,” The Canadian J. of Chemical Engineering, Vol.67, pp. 856-861, 1989. B. Huang and S. L. Shah, “Performance Assessment of Control Loops: Theory and Applications,” Springer, London, 1999.